Today is the day, people: I’m hoping you’re all willing and able to log in and follow along with the Q2 update patch notes because Guild Wars 2 Heart of Thorns has just had a major revamp with changes affecting every type of content you can think of! Unfortunately, I didn’t have access to the 16,000 or so words that comprise the Q2 patch notes in advance, but I did have the opportunity to quiz several key players at ArenaNet about the patch and get some hands-on time with the improvements in preparation for today’s launch. I joined Lead Game Designer Mike Zadorojny, Game Designer Link Hughes, and Associate Global Brand Manager Joshua Davis for an absolutely info-packed chat, which I’ll be unpacking here. If you’re unfamiliar with the patch content, know that this is a long-awaited, largely reparative update that seeks to quell the most pressing issues the community is currently voicing. Zadorojny described the goals for the update as “reducing the perception of grind the players had with HoT, increasing the overall rewards and payouts the players get for playing the content, and getting to the fun faster.” Prepare for a long but worthwhile read: I’m hoping that this edition of Flameseeker Chronicles will help you figure out how valuable the patch will be for you and your guildmates, especially those of you who aren’t active right now. I’ve divided the information into handy content-specific sections, so feel free to scroll to the parts that are most relevant to you if you’re pressed for time. The level boost isn’t permanent until you decide to commit to it, so you have the chance to trial level 80 before using up your token. 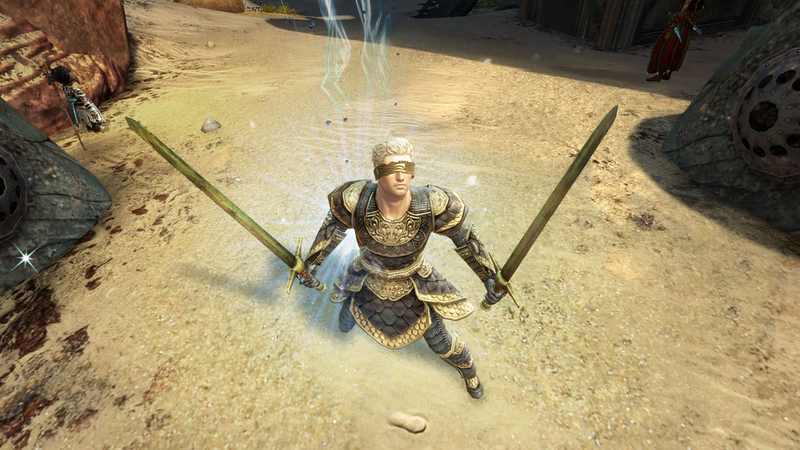 The newly forged level 80 character will be automatically teleported to Silverwastes for the player to test the profession at max level before committing to the change, and the freshly leveled toon will come complete with a starter build and gear to match. That’s right, fair reader: The level boost isn’t permanent until you decide to commit to it, so you have the chance to trial level 80 with multiple professions before using up your token. 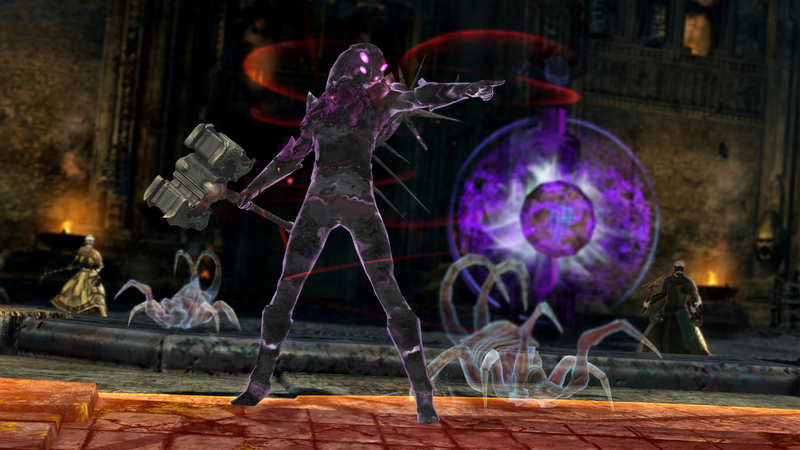 Hughes explained that “there’s no time limit or other arbitrary restrictions except that you can’t leave this specific map on the character until you decide to either undo the boost or make it permanent.” To make your choice permanent, you simply take your character out of the Silverwastes and follow the on-screen prompts to commit. Explaining the thought process behind introducing the max level token to all HoT owners when asked about its benefits for both old and new players, Hughes stated:”This certainly benefits new players, but at the same time we know that many people already have Heart of Thorns and are enjoying it, so we just give the boost to them as well so they can try another profession. In our game, masteries allow us to make level 80 such that it’s really your passport to everything else because we don’t have a vertical level progression system past the base levelling. You just need one level 80 and the whole world is open to you, so it’s a great way to maximise the potential of the expansion for the majority of players who don’t yet have a level 80.” I find the inclusion to be a very clever way to encourage the bulk of MMO players who never reach the level cap to explore what GW2 has to offer, especially since the expansion was so weighted towards improving the endgame. 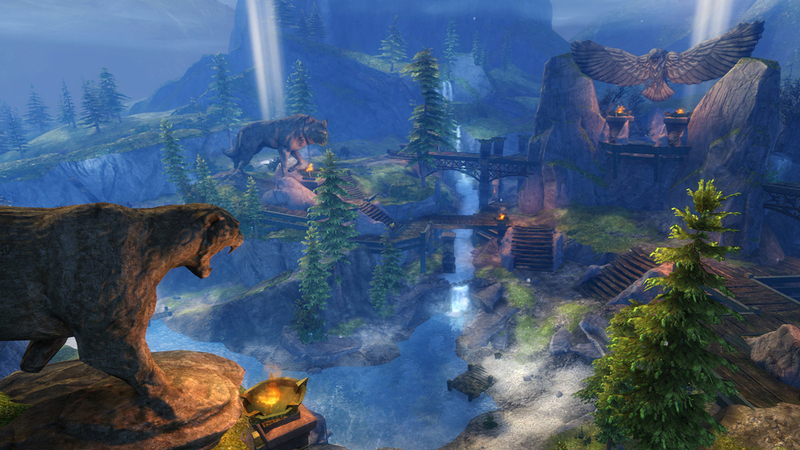 Tangled Depths, Auric Basin, and Verdant Brink have all seen significant innovation happen within the original day/night cycle: The daytime participation trackers have been removed entirely in favour of more spread-out rewards that better facilitate exploration of the zones in question, and inventory issues have been remedied by reducing the amount of unstackable bag drops. The night cycle has retained its reward coordination since it best represents the coordinated, strategic nature of the events, but new once-a-day rewards will complement this alongside generally higher instances of chests, keys, event chain currency, and general rewards. Finally, Dragon’s Stand is much more open and easier to navigate than before as, with the exception of the final boss area; the map is now accessible from the moment you walk in and the zone has twice the number of noxious pods as before. Enemies have been reduced along major pathways, and those pods now glow to make them easier to see as well. The LFG tool has also had a significant revamp, enabling both raid and squad support and also three new categories. Raid teams can look for single raid members and likewise, raiders can find a suitable raid team, and this is complemented by the new raid lobby. 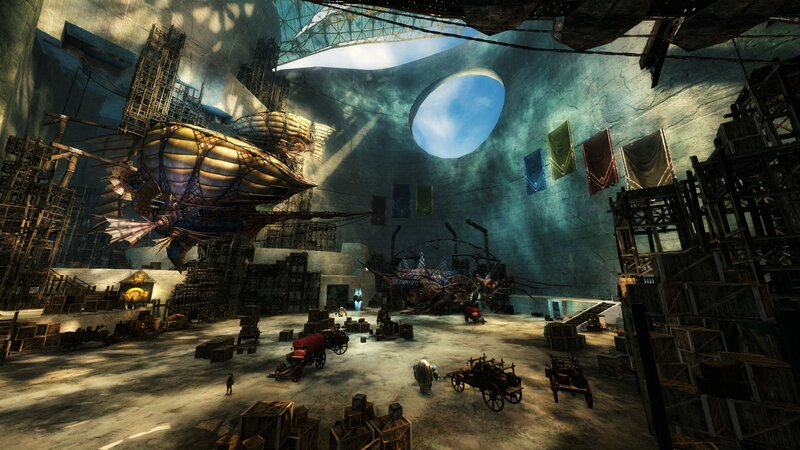 Zadorojny described the lobby as an “explorable instance in the south of Lion’s Arch that will take you into an area with access to all of the raids via portals, all of the vendors you’ll need, and training dummies to allow you to start practicing before jumping in.” Roleplayers, newbies, and achievement hunters rejoice: Three new categories mean that the aforementioned community members can now receive support in their exploits. Dailies have become much more exciting too: HoT-specific additions grace the usual lineup, and we’ll also start to see jumping puzzles, adventures, mini dungeons, and dungeons paths crop up too. The meta achievement for completing three dailies now pays out two gold as well to further incentivise regular play. The two legendaries promised during Mike O’Brien’s unfortunate announcement that further legendaries are indefinitely on hold have released too, and the shortbow comes with a complete legendary journey. One of the major talking points of the session was understandably the WvW improvements, and I’m so glad that I have plenty to share with you in this respect. As Davis admitted, “There’s been a lot of buzz around WvW for a while now, and I know fans have been waiting for us to finally deliver something.” Changes to both matchmaking and rewarding WvW players should hopefully start improving this gameplay from Friday’s reset whenever the changes go into live beta. 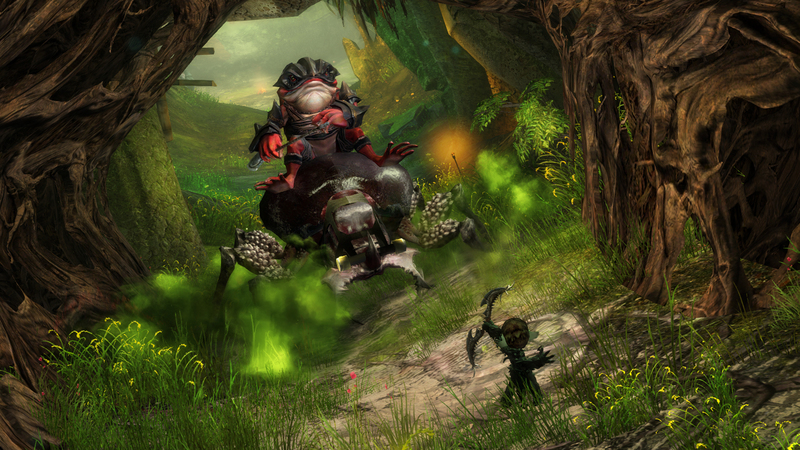 The two headline features for WvW are world linking and WvW reward track implementation, and Glicko will also see a reset this week to account for the large number of players who’ll inevitably jump into WvW to see the changes. A new ability line has also been added with some most welcome QoL benefits. The Provisions Master line will improve a player’s ability to loot and will grant players access to the portable provisioner. The portable vendor will require badges of honor for his wares and another new WvW vendor will swap your spare badges for 18 and 20 slot bags too. I’m glad to see a better use for the badges… I know so many of my in-game friends have plenty to spare. Rounding off the pile of patch notes laid out in front of the ANet devs during our chat was a little pile of improvements made to several Conquest maps, mostly focusing on the outdated secondary mechanics that “have fallen out of style since release or they’re used differently in existing meta to account for how players approach the game since players are much better in general than they were three years ago,” according to Davis. “We mainly focused on two of the maps, the first of which was Spirit Watch. This is very close to being a competitive map, it’s a beautiful map that is one of our most recent ones, all things considered. Every two minutes in Spirit Watch going forward, the orb will spawn and will be worth double points. It will remove all your skills from your bar and replace them with a ranged autoattack and an AoE stun. I’m certainly pleased to see that more general PvP hasn’t been ignored, and I have to admit that it was the first of the improvements that I clambered to experience when I was let loose in the stage client. The maps definitely seem much more strategic and the secondary mechanics actually feel secondary for a change, which is quite a departure from the frantic races to control those features that I knew so well. I want to know everything, people! How are you finding the expansion? Has it made the expansion more enjoyable for you? 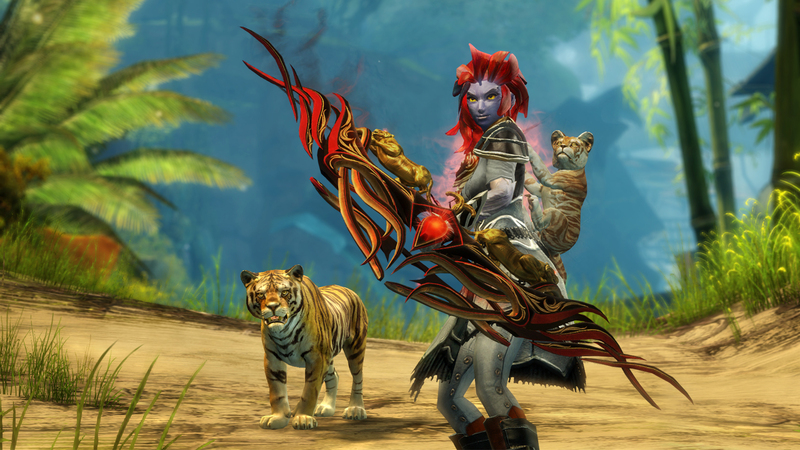 If you were an inactive player, has ArenaNet done enough to get you playing again? Let me know in the comments below. 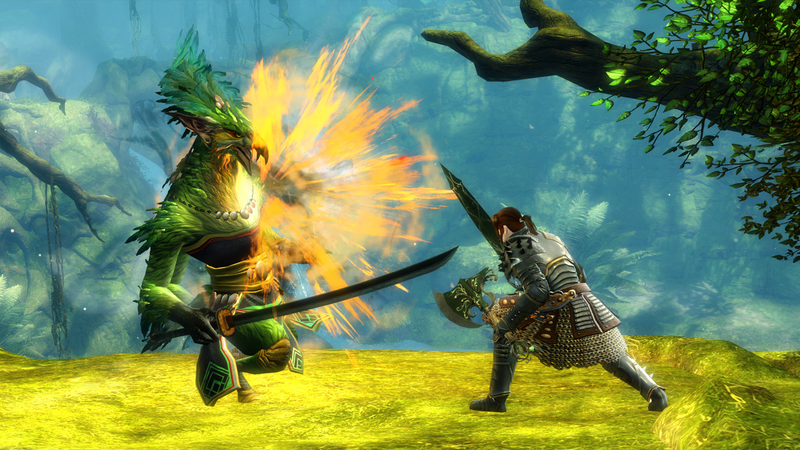 Guild Wars 2 is being destroyed from within. Ignoring and neglecting the game as well as giving god-mode powers to those who refuse to acknowledge and report something as serious as a traceroute never being able to complete to Anet’s servers. Abusing players in email is ridiculous but happening. Abusing the game is happening by hackers who are being ignored on a massive scale. Unless someone does a story specifically on the problems this game is facing, the game will (or already is) become another Diablo 2 – or don’t any of you remember that management fiasco of such a beloved game? 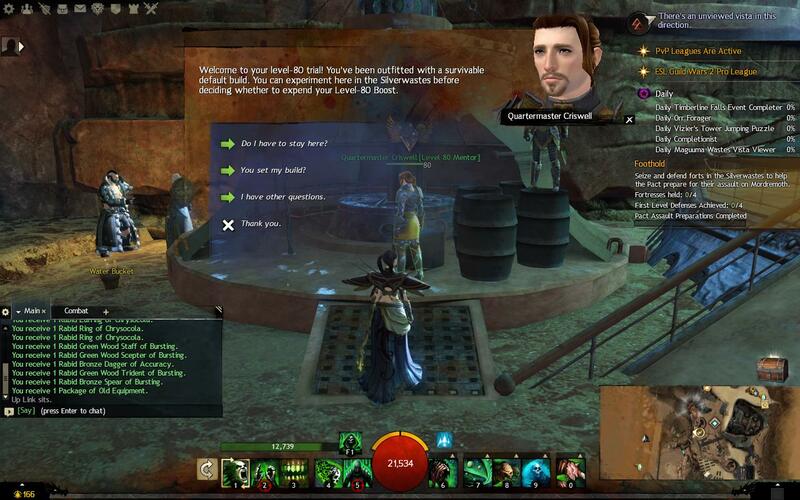 I always read GW2 news with interest, but, based on the changes described here, the aspects I most disliked about HoT (primarily the “punishment” of any would-be soloing and the general “herding” approach to gameplay, i.e., “you must go here, here, and here and do this, this and this in precisely this order”) are still unresolved. Enikuo Why do you consider legendaries out of reach? Definitely one of the best patches released in a long time. The balance changes are a bit…lacking, but in terms of content and overall changes, it’s definitely a success. ManastuUtakata Kaiser Sosey You kind of described the original HoT release there. 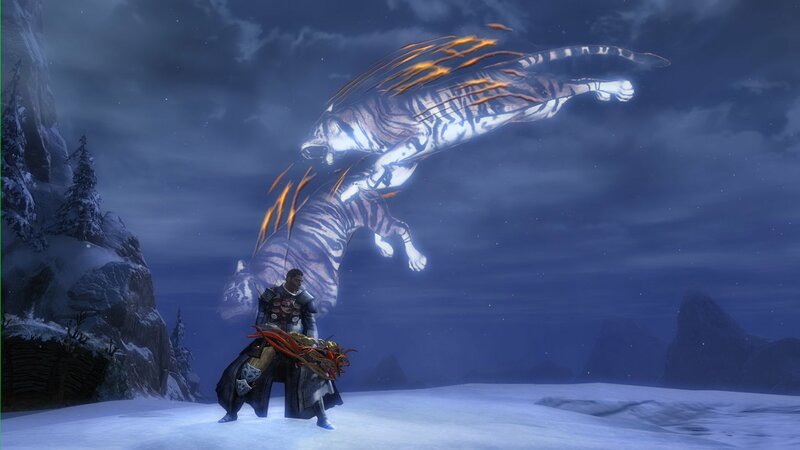 Maybe Anet took notes the other way round first. So many bad decision designs reversed. OK this is one big patch overview. Now where is coffee. Wow… I mean they gave some hints of what this patch would hold but I don’t think anyone realized there were so extensive. Between this and bringing back SAB yearly, I think you regained a lot of the goodwill you had lost the last few months. Well done! I honestly can’t believe how much this patch has improved the game overall. This is bigger than Feature Pack 1. The best part is how much this patch has shown they have learned. Just imagine that expansion 2 will START this way from the beginning.